These vegan chocolate cupcakes are totally irresistible. 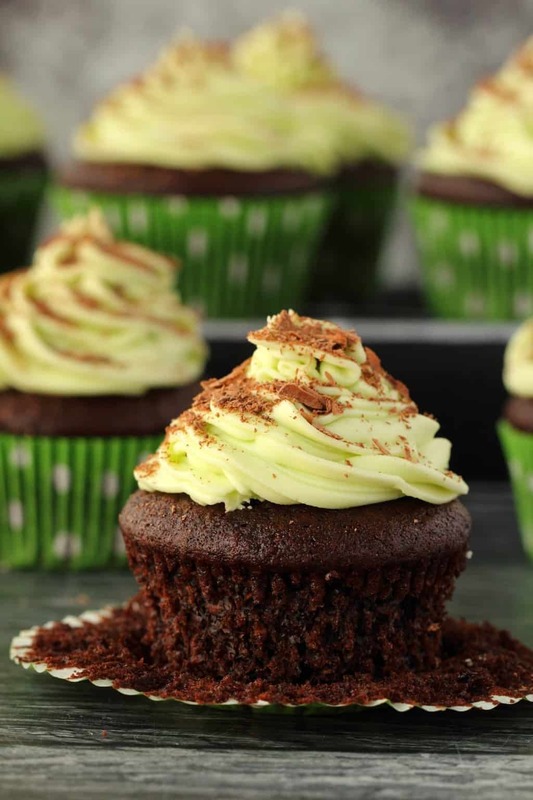 Perfect little packages of yummy chocolate cupcakes paired with mint buttercream frosting that is melt-in-your-mouth fabulous. 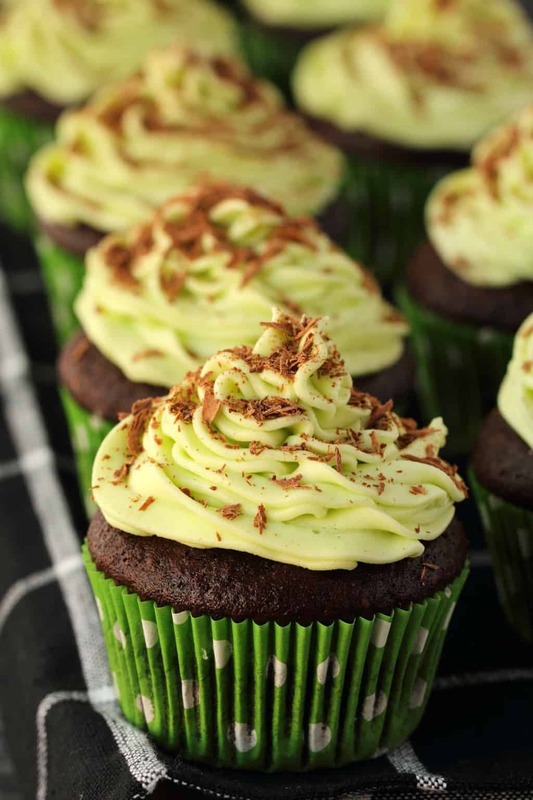 Chocolate and mint are always a good pairing in my book and the combination in these cupcakes is a total winner. 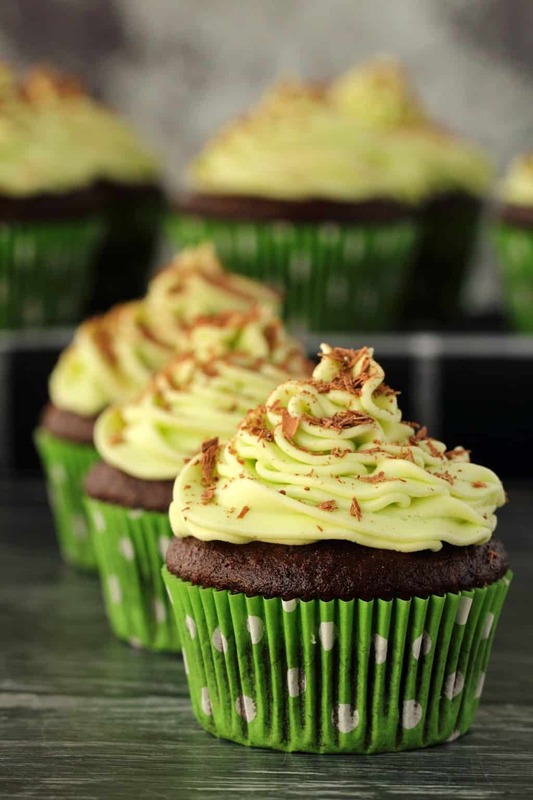 The cupcakes are purely chocolate flavored though, no hint of mint in sight, but that frosting – oh my – creamy dreamy minty bliss! 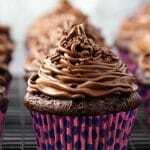 And what is totally awesome about these cupcakes is how easy they are to make! Easier than a cake for sure. You don’t have to grease cake tins or cut out perfect circles of parchment paper to line the base of said cake tins. And they cook even faster too. And you get to put them in gorgeous colorful cupcake liners! Not to mention that frosting them is big fun! And then you decorate these cupcakes with some shavings of vegan chocolate. This bit is completely optional, but oh my it definitely adds a little something something! 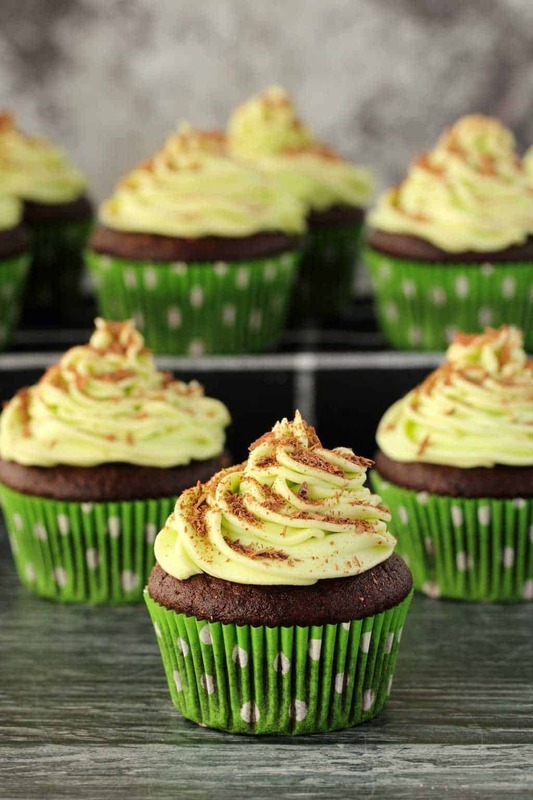 The other part that is optional with these cupcakes is the green food coloring in the frosting. It’s only for looks so if you prefer not to use it, you can just omit it. If you want to use it though, then just a couple of drops are all that is needed to get this lovely shade of green. 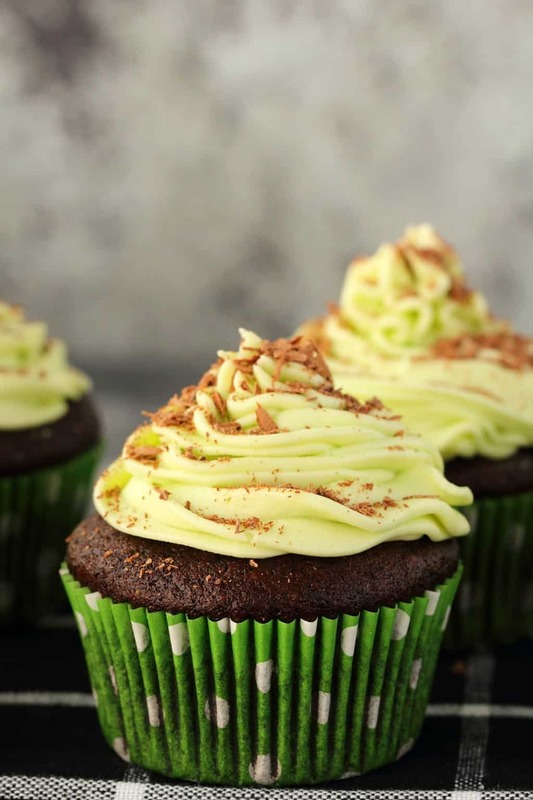 If you’re not a huge fan of mint, then you can switch the frosting on these cupcakes so that you have chocolate on chocolate and nothing but chocolate! A frosting that would also be divine on these cupcakes is the chocolate buttercream frosting from our gluten-free chocolate cupcakes. So feel free to do the switcheroo if mint doesn’t float your boat. 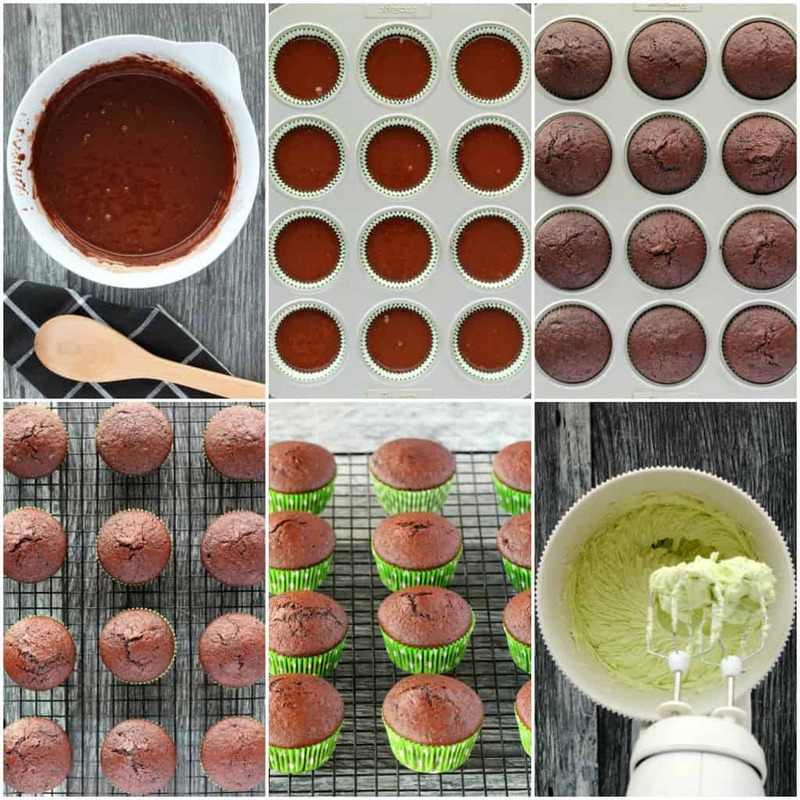 You will love these vegan chocolate cupcakes for the rich, glorious dark chocolate flavor that blends SO well with the mint buttercream frosting. And you will love how pretty they are! And how easy they are to make. Not to mention how moist and just insanely delicious they are! So let me know in the comments what you think of these vegan chocolate cupcakes! And please rate the recipe too! Thank you! And while you’re here, sign up to our email list, you’ll get an awesome (and free) vegan dinner recipes ebook containing 10 awesome recipes and you’ll be the first to know when we post new recipes to the blog. 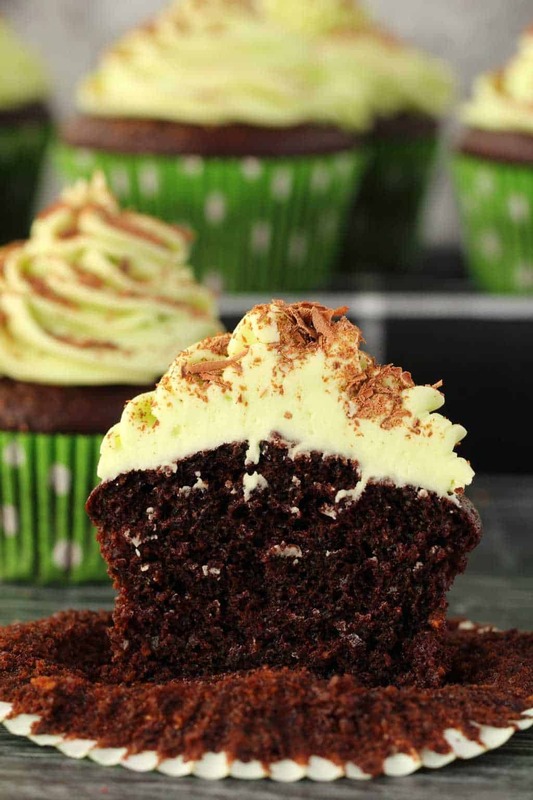 Gorgeous vegan chocolate cupcakes topped with a mint buttercream frosting. 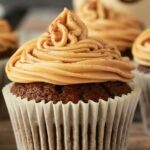 These super easy vegan cupcakes are rich, moist and totally irresistible! Sift the flour and cocoa powder into a bowl. Add the sugar, baking soda and salt and mix in. Prepare a flax egg by mixing 1 Tbsp Flaxseed Meal with 3 Tbsp Hot Water and allowing to sit for a minute to become gloopy. Add the soy milk, vanilla extract, olive oil and white vinegar and mix in. Then add the flax egg and mix in together. 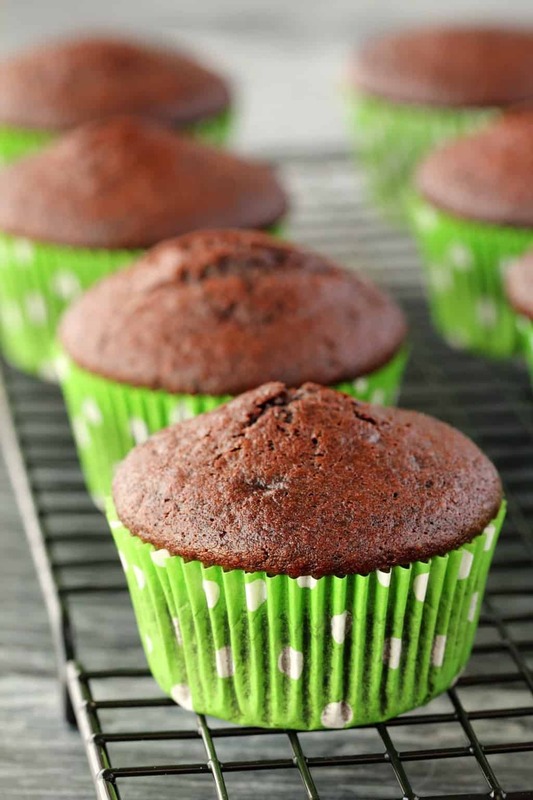 Line a cupcake tray with cupcake liners and divide the batter evenly between them. Bake for 22-25 minutes or until a toothpick inserted into the center of one of the cupcakes comes out clean. Transfer the cupcakes to a wire cooling rack to cool completely before frosting. 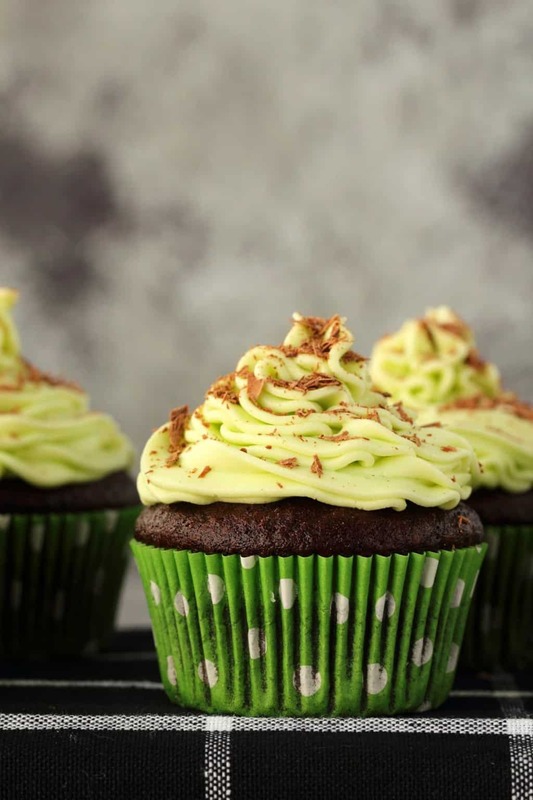 Prepare your frosting by adding the vegan butter, powdered sugar, soy milk, green food coloring and peppermint extract to an electric mixer. Starting on low speed, gradually increase speed until thick and smooth. 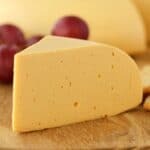 If it’s too thick, add a tiny bit more soy milk (a drop at a time) and mix again until you reach the perfect consistency. Pipe on the frosting and decorate the cupcakes with shavings of vegan chocolate (optional). * Weigh your flour for the most accurate results in this recipe. 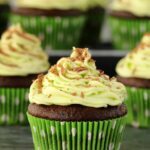 *I prefer using a good quality extra virgin olive oil in these cupcakes but if you prefer to use a different vegetable oil you can do so. *You might want to add more peppermint extract, it depends on the brand you use, you might need to use a little more to get enough mint flavor. Taste test and add more if needed. *The green food coloring is completely optional and you can omit it if you prefer not to use it. 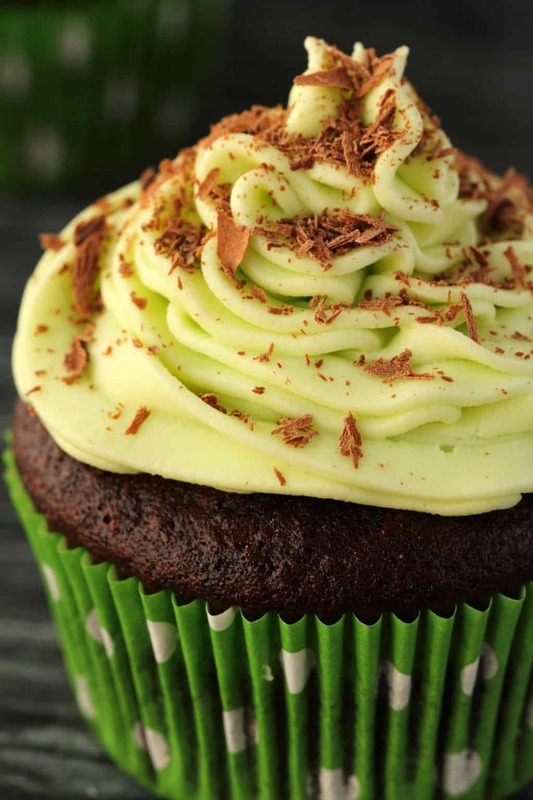 *If you’re not a huge mint fan, then feel free to switch the frosting for the chocolate buttercream frosting from our gluten-free chocolate cupcakes. *Adapted from my Vegan Chocolate Cake. Awesome Michele! That would be great if you let us know how they turn out, I hope fabulously! Agreed, such a perfect spring breakie! 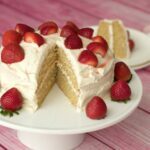 I cant have gluten so might give this a try with gluten free flour blend! i love chocolate and mint!!!! Thanks Dylan! Your pink cupcakes are gorgeous, I love the styling you did for them! 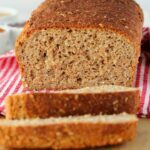 What can I substitute the flaxseed egg with? I guess you could Google other vegan recipes and see if there is (I know this is from last year but you never know who might still wonder) one that doesn’t use flaxseed meal – which is itself a sub for eggs, since of course eggs are not vegan. 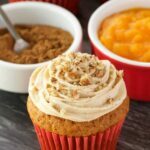 I started with “Vegan Cupcakes Take Over the World”, which is a fun cupcake cookbook, but they share recipes online too. This is great advice, I used to be quite gung ho about saying ‘sure double the recipe if you like’ when people asked me if they could do that, but later to find that the biggest chance of failure in a recipe was when someone made some kind of change to it. It’s definitely best to stick to it as written and to be really ‘exact’ with it as well and weigh the flour, and then you’ll have it come out exactly like it’s supposed to. And from there, you can tweak it to your preferences with ingredient substitutions or increasing/decreasing the recipe, especially if you’re a more experienced baker. 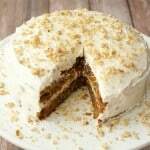 Can I substitute the vegan butter out with coconut creme? Unfortunately not, the vegan butter/margarine is very important for the texture. Just made these, they came out delicious! 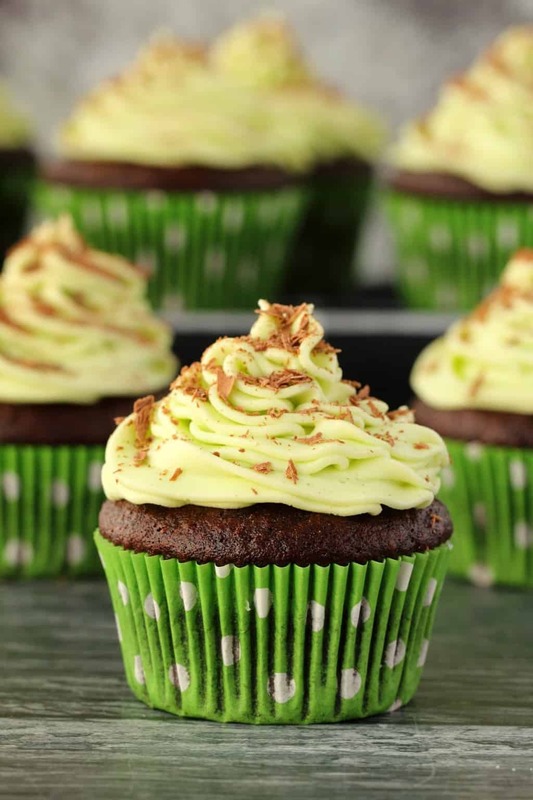 I have wanted mint chocolate cuppies since several Christmases ago, they only show up around here in bakeries at Christmas, which I think is kind of weird 🙂 They are good all year! Not sure when the post is from, but I’m so curious about this piping kit you were using that kept coming apart. Piping shouldn’t be that involved at all or be fancy or cost an arm and a leg. I like to buy a bunch of disposable bags (I have ONE super big cloth bag but it is such a pain to clean!) and have a few basic piping tips on hand. You can go to any craft store and grab a few for a reasonable price. Honestly, if all you have is a Wilton 1M, you’re pretty set. If you want to do intricate designs you can definitely add in other tips, but I honestly just use my 1M the most. Pipes a good swirl! Should be like 2 bucks-ish. Is your cocoa powder unsweetened? I have everything but a hand mixer/electric mixer! Can I just use a spoon? 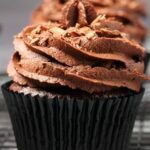 really want to make this buttercream for my boyfriends chocolate cake! 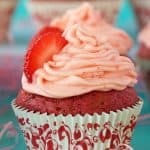 This is the best cupcake recipe I have ever followed. I used muffin sized cases and pan and baked for 22mins – they were perfect. I followed the recipe to the letter and they honestly came out the best I’ve ever made. Thank you I will be using this time and again, Rachel. I’m looking forward to try these! Thanks for the recipe. I want to experiment with adding 1/2 cup of fresh mint, well chopped/mixed to release the flavour, from the garden to the cake part. 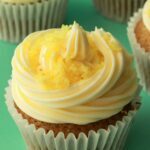 I tried these cupcakes and they were amazing! My family ate them all in one day! You are a great cook and i can’t wait to see more of your recipes.